It is nature’s way of recycling. It is plant matter that is partially decomposed. It improves soil texture (how air and water move throughout the soil) adds nutrients, changes the soil chemistry in a way that is beneficial to growing plants, and provides food for organisms in the soil that also benefit plants with their interaction. If you work at it, adding compost to your soil over time will give you a special and unique soil. All the great foods and wines come from areas that have great soils. It is the soil that adds flavors, aromas and nuances to the things we consume. Adding compost is a way to manipulate and improve not just how plants grow but how they taste. This is ancient knowledge that has been forgotten by most in our modern society. Native Americans in South America had been creating soil for thousands of years in the Amazon (look up terra preta). You can create full flavors in your foods and it all begins with compost. You mix organic matter in a pile to create a complex feeding pattern involving bacteria, fungi, worms and insects. The end product is decomposed matter. Keep reading even if that sounds gross, creepy or complex! When making compost, there are two main chemical components, carbon (the main energy source) and nitrogen (for growth and reproduction). Carbon (C) is dry brown material such as leaves, wood chips, straw etc. Nitrogen (N) is fresh and green things like pulled weeds, kitchen scraps, grass clippings etc. With the proper mix of carbon and nitrogen, you create the habitat for food webs where organisms eat the waste and become a food source themselves (If you build it, they will come). In time, the end result is black humus-like compost. In fact, carbon, nitrogen air and water are all you need to be a successful composter and earth steward. A ratio of 25:1 C-N will be 15:1 when decomposed, which is the ratio of C-N in a good garden loam soil. I also know that a ratio of almost equal C-N still gives good compost, so you don’t need to measure carefully, unless you want to. If you have too much carbon, decomposition will take a long time (1-2 years). Too much nitrogen and the pile starts to smell, and you attract pests like fly’s and their maggots. The number one falsehood I hear about composting is that it is smelly. No! Bad composting can be smelly, but not all composting is. If the pile gets smelly you have too much nitrogen (green material) and need to mix in more carbon sources (brown material) or add more compost or dirt. DO NOT USE: meat, grease or dairy products, they can lead to internal parasites, disease, and attracts pests, colored /glossy paper, most use toxic ink, charcoal ash, it has sulfur oxides which are toxic, diseased garden plants, they may spread the disease, invasive weeds, you might help spread them, pesticide treated plants, some pesticide can remain on plants and cause residual effects and pet litter, never use feces of cat, dog or any animal that eats meat in a compost pile. There are numerous diseases that can be transmitted if you do. For example, healthy cats can have parasites in their feces that if eaten infect the brain and eyes of infants, and people with weakened immune systems. Also, plastics don’t decompose, so they should not be in a compost pile. You can use woody material in a compost bin like twigs sticks and even logs. Some people do, but I don’t add woody bits or thick grasses to my main compost pile since they don’t break down quickly. I put woody stuff and thick garden materials in their own pile and give them a couple years to soften up. This way I don’t have to grind them up and/or screen the compost before using it. Some may say that’s being lazy, I prefer energy efficient. You can compost in containers indoors and out, but I choose to build my own container outside. Choose a spot that is flat and well drained. If you pile up your waste in a bin it will compost faster, and the bin will help keep out foraging animals. A shady location is preferable; direct sunlight may cause the pile to dry out. If you can, put the bin close to a source of water (e.g., within reach of a garden hose). Avoid placing the bin against a tree or wooden building; the compost will cause the wood to decay. Once your bin is in place, you can begin to fill it with yard wastes and kitchen scraps. It may be helpful, when first building your compost pile, to mix in a small amount (one shovelful) of rich garden soil or finished compost; both are good sources of microorganisms essential to decomposition. I began as a casual composter, and recently have gotten into more intense composting. Casual composting is just making a pile of material. I still use casual compost techniques when I have a large pile of carbon rich material like leaves or dried garden material. I just make a pile, give it one mix after a few weeks, keep it moist and it takes a year to finish. This is easy for the beginner since compost will “happen” even if you just make a pile of yard and food waste and water it occasionally. With intense composting you need to maintain the right blend of nitrogen, carbon, moisture and air (mixing). This results in temperatures of 120 to 140 degrees Fahrenheit. The high temperature will kill most seeds and speed up the decomposition process so that the compost may be ready in 1 month or less. Alternating the types of materials (carbon and nitrogen) you add to the bin will speed up the decomposition process, especially if you mix the contents. You have compost when the original material has been transformed into a uniform, dark brown, crumbly product with an earthy aroma. If your pile gets as big as you like, you may want to stop adding to your compost pile until you have finished product to take out. get the right size bin and combination of air, water, carbon, and nitrogen. All compost should be kept moist like a sponge that has been rung out, wet to the touch, but not dripping. You can mix the pile to incorporate air, or, I’ve seen people use PVC pipe with holes drilled in it, stuck into the middle of the compost pile to allow air into the pile. I will only mention that a compost bin, if you look it up should be at least 3x3x3 but any size pile will decompose. I have a 5x5x5 three sided cedar wood bin that works great. Do not make a bin out of pressure treated wood; even though copper chromium arsenates are no longer used any more due to health hazards, other preservatives may later be shown to be toxic. I use untreated cedar wood but even that rots over the years. I think it’s better to build a new bin every decade than eat poison your whole life. Another way to speed up the composting process is to regularly mix the pile. (This is why many commercial composters mix/spin the material for you.) If you are going to mix your compost, make sure you have access to the stuff in your pile with your mixing tools. I use a shovel and a pitchfork to mix the pile, depending on the density of the composted material. Some of my composting bins are three sided, this allows access in the front for easy mixing. You don’t have to mix your compost, but it will speed up the process if you do. Using Compost – Adding compost to the soil is beneficial to almost every type of plant. 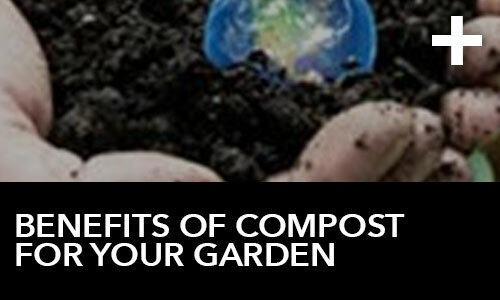 Compost adds nutrients (food) and organic matter to the soil. Most finished compost will have a Ph from 7.0-8.0 and have nitrogen as a percentage of 1.5-3.5%, phosphorus 0.5-1.0%, and potassium 1-2%. (N=1.5-3.5, P=0.5-1, K=1-2). This is far lower than most commercial fertilizers. You may wish to further add nutrients (See my future article Nutrients 7/08). However, compost can be a source for nearly all essential micronutrients needed by plants which are often lacking in commercial fertilizers. When plants are limited by any single micronutrient you will have limited plant growth no matter how much of NPK you give your plants. Compost provides a balance of nutrients that are released gradually throughout the growing season. If you are still reading, I am guessing you are a serious gardener. As you add compost to your garden year after year, the soil should get darker, and easier to work. You should be able to see a visible difference in the soil in your planting area compared to the soil next to your area. Your goal is to build up your soil. Adding synthetic petrochemical fertilizers can increase your yields for a few years, but it is not sustainable. In fact, you will ruin your soil eventually due to the unused nutrients and salt build up. Using compost and other organic sources of nutrients (like those in Humboldt Nutrients) will build up your soil and give your crops unique flavors. A compost connoisseur can create special soils to enhance flavors. There are many ways to manipulate the compost and consequently your soil: banana peels add potassium, egg shells add calcium and coffee grounds make soils more acidic, while wood ash makes soils more basic. Any change in pH affects the uptake of many nutrients. Every year dig your garden deeper, mix in the compost and add organic fertilizers and other soil amendments. In a couple growing seasons you should notice your garden area soil increasing in darkness and depth. Adding compost will improve your soil food web which will increase the soils fertility and productivity.